Today: Your best advice for keeping mold at bay. 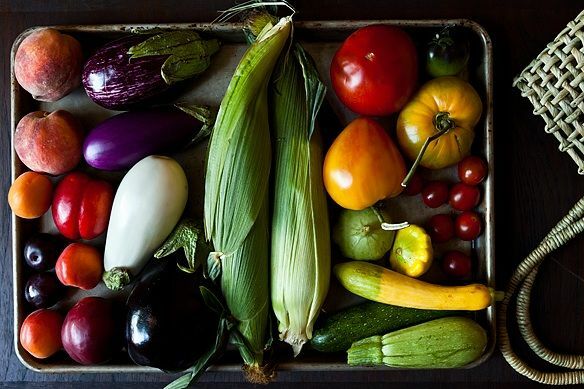 Now that we’re getting into the season for spring and summer produce (Hallelujah! ), proper storage of said produce is one of the most common issues that we get questions about on the Hotline. As we all know, there’s nothing more demoralizing than bringing home your bounty of fruits and vegetables, only to have them wilt and mold before you can turn around. 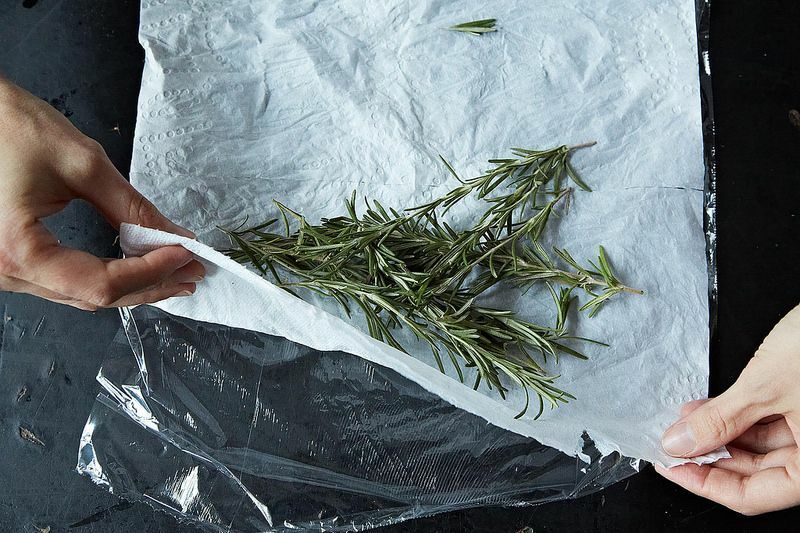 ChefJune says, "I not only unwrap everything when I get home, I do my best to dry it all out, then wrap some paper towels around them to try to pick up any unseen droplets, before bagging in a dry bag." SMSF confirms our suspicion that getting produce directly from the farmers at your local farmers market is the way to go. She writes, "It's amazing how long the really fresh stuff can last. I just finished the last of a LOT of asparagus purchased nearly 2 weeks ago, and there was not even a hint of deterioration." Garlic Fiend finds that the quality of produce varies greatly from store to store, and recommends purchasing produce from large Asian markets, as the turnover is very high. 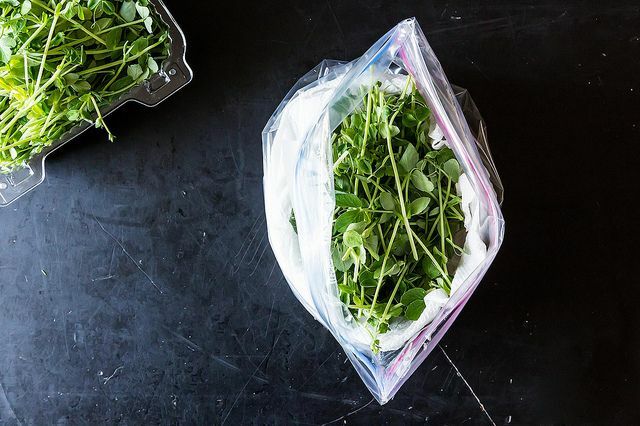 More: Read on to find out how to keep your greens and your herbs nice and fresh. On the homefront, creamtea goes back to basics. She says, "Maybe now that the weather is warming you might need to adjust your refrigerator temperature so that it is slightly cooler? I usually need to make that change with the change in seasons." Lleello also says that the refrigerator might be the culprit: "Check and clean the fridge filter. It can be that there is a leftover mold that affecting the next produce." Stephanie suggests: "Try giving your crisper a good scrub down (yup, with vinegar and water). It's possible that there are just some pesky organisms 'chilling' in there that find those items particularly hospitable." And she also recommends rinsing fruit in a 1:3 vinegar to water solution to help it stay fresh longer. More: Are you ready to give your pantry an organizational overhaul? Read on to find out how. What are your best tips for keeping produce fresher for longer? Let us know in the comments. To add to the life of fresh asparagus, I wash and dry them and stand them upright in a wide-mouth glass filled with a few inches of water. They can survive several days outside the fridge, and longer in a cooler climate. I wash my fruits and vegetables with vinegar and water and then dry completely and store with a paper towel in a bag or the container they came in. Sometimes, I sprinkle with baking soda, then pour vinegar and rinse with water. I don't have a problem with mold at all, I think the vinegar prevents mold. I took two road trips last year and I packed a lot of veggies and fruits in mason jars. I was amazed at how long everything lasted, even sliced cucumbers stayed crispy and not slimy for more than 5 days!!! Now I store berries and any cut veggies in mason jars or other glass containers. Instead of plastic bags I wrap my produce in paper towels and put it in the plastic containers in which salad greens are sold. See-through, stackable. Seemed to me that if they are used for shipping and selling, they should be good for keeping things fresh. Vegetables hold a long time. I try to keep an updated list of what produce is in the refrigerator on the door. My big "aha!" moment was frustration with large containers of strawberries going bad quickly. Now I wash and hull them immediately on getting home, and I get them at Costco, where stock turnover is high and they are displayed in a chilled room. The washing and hulling is key, though- even Costco strawberries go fast without that. Interesting! I was taught to store strawberries in a single layer, laid out on paper towels, in the refrigerator, and to not wash them until right before use. I think laying them in a single layer must help, but seriously- I buy 2 lbs at a time and I don't have the acreage! I do towel them down before I put them in a clean container. Even though the strawberries are washed before they are packed, the hulls do retain some sand and dirt, as I see from the bottom of the bowl I wash them in. This soil contains all kinds of bacteria and spores that will happily grow on the strawberry flesh.